The facts contained here are primary facts proven about to benign meningioma (non-cancerous); these risks are also potential growth factors for all tumor types including schwannoma, and ependymoma. The condition neurofibromatosis type 2 (NF2) results in a loss or damage of or a dysfunctional NF2 gene which results in a lack of the MERLIN protein, NF2 a tumor suppressor gene. Development and growth rate of tumors is primarily determined based on each NF2 mutation, even if other factors may increase the rate of growth; things that could risk increase tumor growth include environmental and lifestyle variables. Tumors will automatically grow at some rate by natural life progression starting at birth. From first to the second generation, NF2, an individual might have more tumors and faster growth than parents; by the third generation, general growth pattern would be about the same. Symptoms dealt with would be different, if a person might have genetics to grow tumors in the spine as damage at each vertebra would result in different actual issues. But understanding of environmental variables could help a person ultimately have a slower rate of growth than other NF2 family. The variables discussed here may affect not just people who have the NF2 condition, but other tumor growth issues that also develop because of a mutated tumor suppressor gene. All of these things are topics that require more research. NF2 tumors have three different potential growth patterns; sporadic, linear, exponential and can become simply become dormant. [(Asthagiri, 2016) (Giancotti, 2014)] These possible growth options are the reason individuals with tumors should have regular MRIs to monitor changes in tumors. Sporadic: Sporadic growth is irregular growth, erratic, random pattern, growth might be in leaps rather than by gradual transitions. Linear: : Linear growth is the consistent rate of growth. 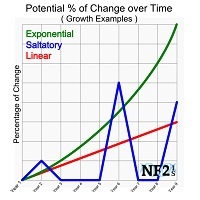 Exponential: Exponential growth is steady doubling increase of growth. Dormant: Dorment tumors are not dead, but a period of no growth after initial development. 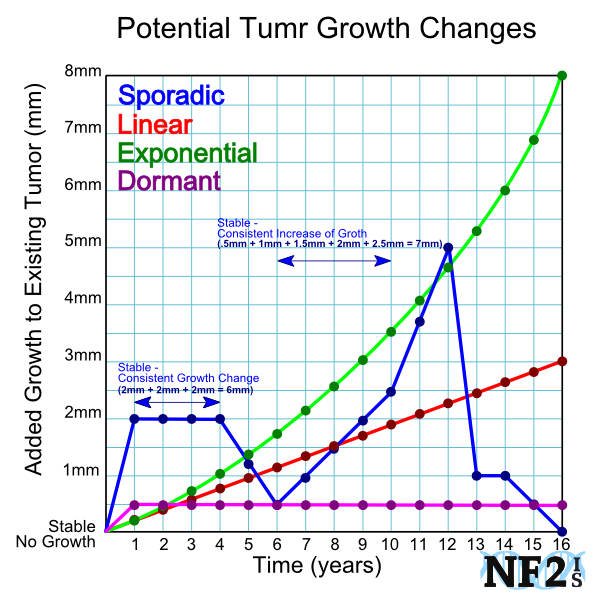 NF2 tumors can remain dormant for years before changing to either sporadic, linear, or exponential growth. Different growth patterns would likely apply to different tumors in the same individual from year to year. Even a strong MRI with contrast could miss slow growth and even if no or slow growth is noted, should not be a factor in scan frequency, consideration of how often MRIs are done in months or years. Tumors are most frequently in need of treatment based on issues the tumor is causing, but sometimes tumors are in need of treatment based on location and extent of danger if even minimal growth occurs, like a tumor causing pressure to the brainstem. While individual tumor management is primarily based on issues a patient notes from tumor changes, some tumor intervention is based on tumor size, location and noted growth rate an individual might not have symptoms until it is too late. For this reason, it is important to follow up with regular MRI scans. There are two (2) forms of radiation; Ionizing and Non-Ionizing, the Non-Ionizing are accepted safe forms. Magnetic Field Exposure including; MRIs, Ultrasound, Light, Infrared, Radio Waves, Microwaves, Cell Phones and Cell Towers. Hormone Risk - Summary: Estrogen, Progesterone, both used in Birth Control Pills and Menopause hormone treatment and Androgen Receptors for increased Testosterone levels. Other Risk Factor Pregnancy can cause tumor growth increases at different stages of pregnancy but is not a result of hormones. Tumor growth during pregnancy is a result of Hemodynamic Changes. Hemodynamic changes are changes during pregnancy of blood flow in different areas of the body to support the fetus. Tumor changes from; Animal Growth Hormones (rBGH), Genetically Modified Food (GMO), BPA (Bisphenol A) and Pesticide use have been ongoing concerns for the creation and growth of tumors of all types for several years. Growth hormones given to animals is a topic that requires more research. Cows are given recombinant bovine growth hormone (rBGH)/recombinant bovine somatotropin (rBST). The clear results and purpose of rBGH are faster-maturing animals for meat and more milk production, for fewer animals to feed more people. However, these hormones could result in health risks, including tumor growth. There has been enough scientific research to result in debates worldwide. These debates are leaving many consumers looking for Organic food options. 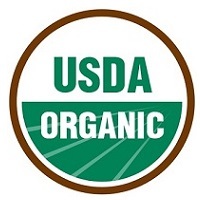 To guarantee the of purchase of Organic foods specifically, look for the U.S. Department of Agriculture (USDA) for the seal of approval. It does not matter what the packaging says it does or does not include if the seal is not in the package the food was not approved by the USDA as Organic. 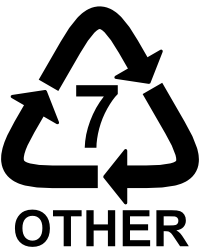 BPA, BPA Bisphenol A, is found in plastics listed as a recyclable plastic of Resin ID Code #7. However; it is also found in cans since cans are lined with plastic on the inside, an alternative to prevent plastic or metal in foods, consider foods in glass jars instead of cans. BPA mimics Estrogen. (Read Hormonal concerns above). Pesticides are chemicals sprays on crops to repel insects, other unwanted animals and also results in less produce lost due to decay. There are different forms. While Organic produce are even protected with sprays, the Organic produce is only sprayed with a combination of Canola Oil and Baking Soda is a safer combination in comparison to the neurotoxins in the non-Organic spray forms. Pesticides have been linked to Cancer, Alzheimer's Disease, ADHD, and even birth defects. Pesticides also have the potential to harm the nervous system. The United States Department of Labor called the Occupational Safety and Health Administration (OSHA). OSHA establishes rules to protect workers that must be enforced. [OSHA] The only exception to this is for individuals handling pesticides without following proper safety precautions. Areas where Pesticides are sprayed, which can potentially spray over homes or have run off of chemicals in local waters. 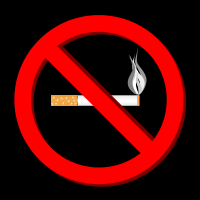 A good deal of confirmation on the problems with cigarettes and has been established, including and not limited to tumor growth. Cooper, Jonathan, and Filippo G. Giancotti. "Molecular insights into NF2/Merlin tumor suppressor function." FEBS letters 588.16 (2014): 2743-2752. Wiemels, J., Wrensch, M., & Claus, E. B. (2010). "Epidemiology and Etiology of Meningioma." Journal of neuro-oncology, 99(3), 307-314. Kalamarides, M., Acosta, M. T., Babovic-Vuksanovic, D., Carpen, O., Cichowski, K., Evans, D. G., ... & Ratner, N. (2012). "Neurofibromatosis 2011: a report of the Children's Tumor Foundation annual meeting." Acta neuropathologica, 123(3), 369-380. Topic - Breast Feedding.